In fact I thing there are places where trains only use the loop when crossing, with that use being by the more secondary train. Can anyone confirm that? 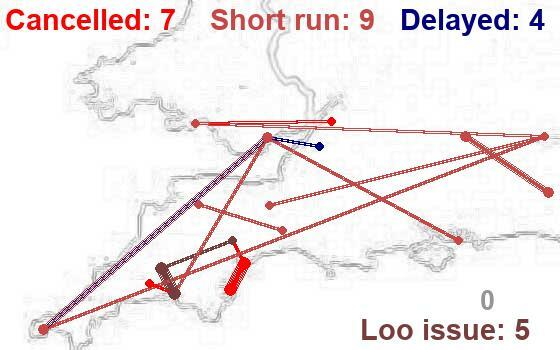 The "Penryn Solution" seems to me to have the best potential where the trackbed for the rest of the line is single track, and where a clockface service of relatively short workings that are broadly independent of other services are to be run, all calling at the passing place station. As someone else raised Melksham, yes, it's an option though not ideal; the alternative(s) is / are dynamic loops on the the long stretches from just north of Melksham Statioon nearly to Thingley, and / or from just south of Melksham Station to just north of the Avon Bridge at Staverton. Sure, other options start off as simple as an intermeiate signal (which as a limited intervention would only give a limited return) through to full redoubing which surprsingly would not solve issues of faster trains needing to overtake slower ones somewhere between Westbury and Swindon. Maybe they could signal it like P12-15 at Reading: the approach control and mid platform Stop boards apparently help S&T Engineers get round the need for proper overlaps. Maybe I should have the Bad Dobran line doesn't have any freight traffic it's all 2 possibly 4 (2*2 ) car DMUs. Yes the platform at Bad Doran is pretty long. So probably only applicable on lines with only short passenger trains. The other common station layout on double track lines is 3 platforms mainlines and a bi directional loop for stopping trains, although I have ben round the loop on an IC at an intermediate station between Hanover and Magdeburgh to overtake a freight train. 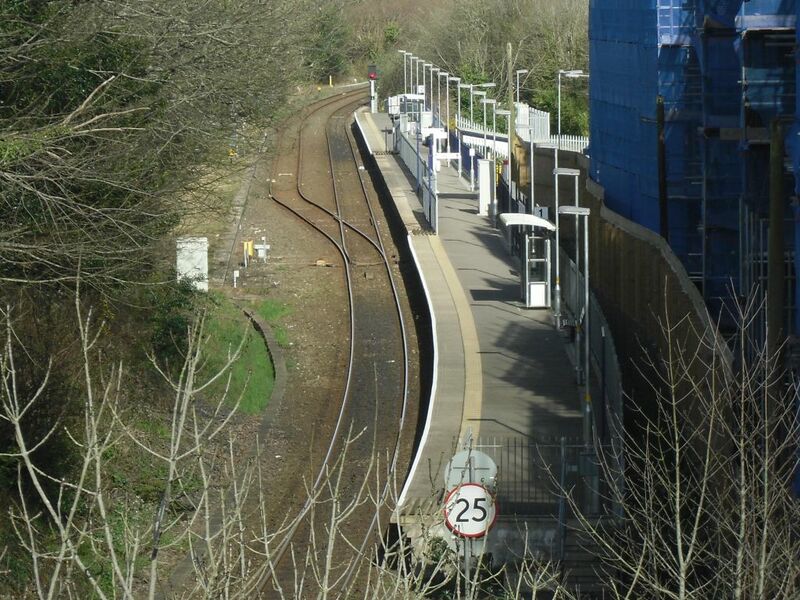 Most through platforms at Reading do have intermediated stop boards. A ‘Rear Clear Marker’ board is a circular board with white background, a black triangle and numerals in black font. These boards are located on platforms 7 to 15, they are positioned approximately halfway along the platform and are applicable to DMUs and EMUs with a consist of 2 to 5 vehicles. 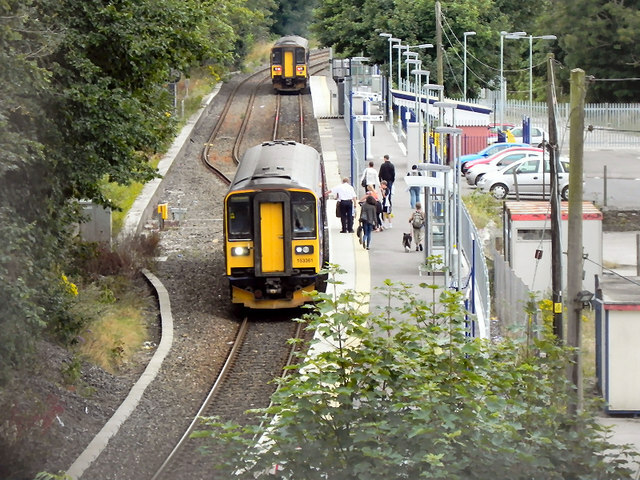 The boards apply to trains travelling in either Up and Down direction, and are reversing in the station. 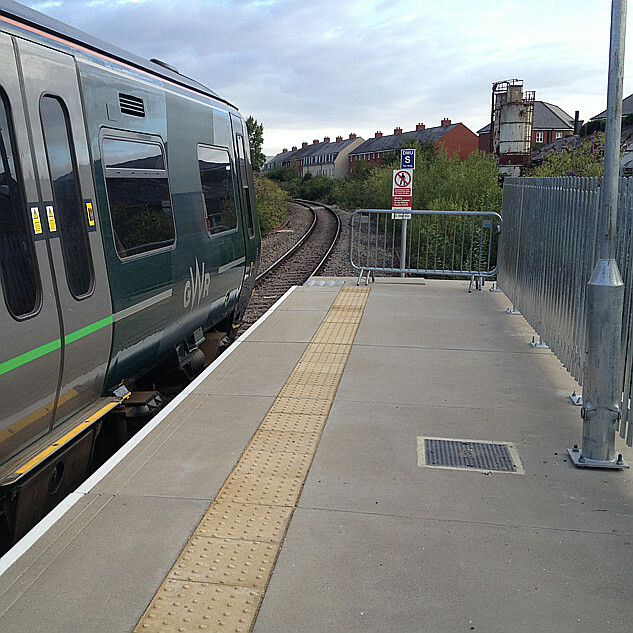 Drivers, of DMU’s or EMU’s, with a consist of 2 to 5 vehicles, must stop the train 5 metres from the board if the service is to reverse in the platform and the next journey will be in the opposite direction to the arrival. Drivers of formations that consist of more than 5 vehicles must go passed the ‘Rear Clear Marker’ board and stop the train at the normal stopping location for the formation they are driving. But that has nothing to do with whether permissive working is allowed - it only simplifies a train stopping at the first half of a platform. Permissive working is allowed in all platforms (1-15) other than P12P11 in the Down direction, with (as far as I can see) the same rules. But that has nothing to do with whether permissive working is allowed - it only simplifies a train stopping at the first half of a platform. Permissive working is allowed in all platforms (1-15) other than P12 in the Down direction, with (as far as I can see) the same rules. P12 is OK for permissive working both directions, it's P11 in the down direction that isn't. You're right, of course - my mis-copying.